So Commander 2016 lands in a week, and maybe some of you are checking your big box stores early. It’s not unheard of for them to stock these a day or two ahead of schedule. 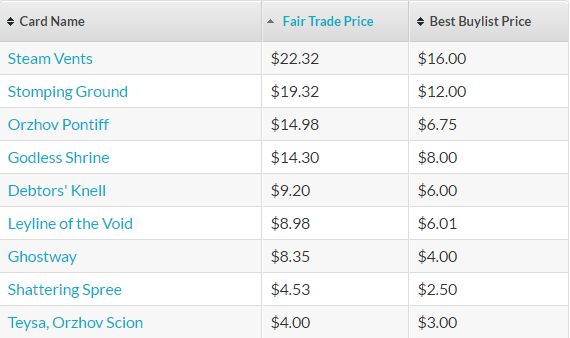 This week I want to look at the listed prices and see where I can either buy low or sell high, even though you can’t quite get your hands on these yet, I like to plan ahead. I want to be clear that if you can buy the decks on the first day, and then move out the singles, I don’t think that’s a winning play…mostly. The postage rate is going to be pretty high, unless you’ve got a great source for stamps, or you know someone who wants most of a deck. That being said, these decks have a ton of value, and a lot of potential. Some people, who get stamps through work or some such, are going to really turn their $30 msrp into an easy 6000 points, but I just don’t have the time for that. If you do, more power to you. I’m properly envious of those who have the stamps and the spare time. I have been really hoping for awesome things from Commander 2016, and frankly, it’s not disappointing. I love how Wizards has identified this niche and gives us all sorts of fun toys to play with. What I’m really looking for is how much I’m willing to spend on singles. Until I have a decklist, I don’t know what I’m buying and I’m not willing to spend $30 on a deck and send out $35 worth of PucaPoints. Postage will eat up my margins. I’m also nervous about knowing how many of each card is going to be printed. The markings of Mythic, Rare, Uncommon and Common don’t mean much when they are printed in equal numbers. I need to know if some of these are in multiple decks! I doubt it, but I’m not assuming anything. To be clear, I doubt that much from this set is going to have a high price anytime soon. 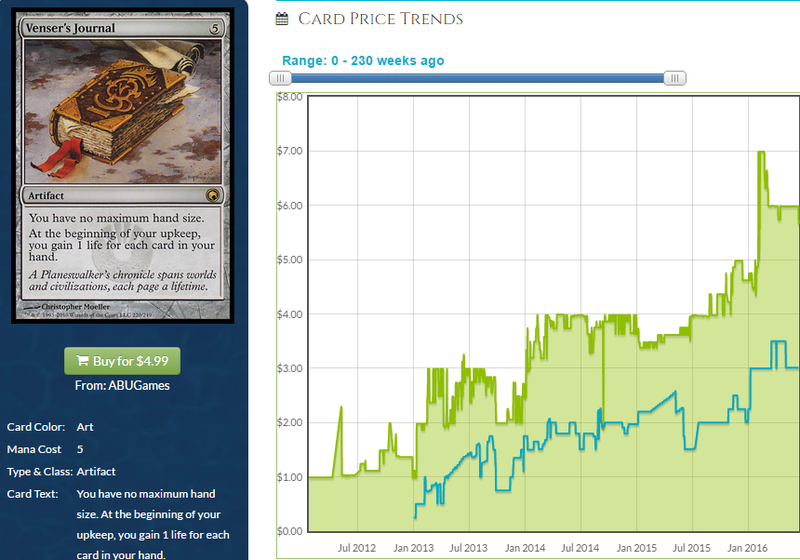 Commander 2015’s big winner is Mystic Confluence at $9. 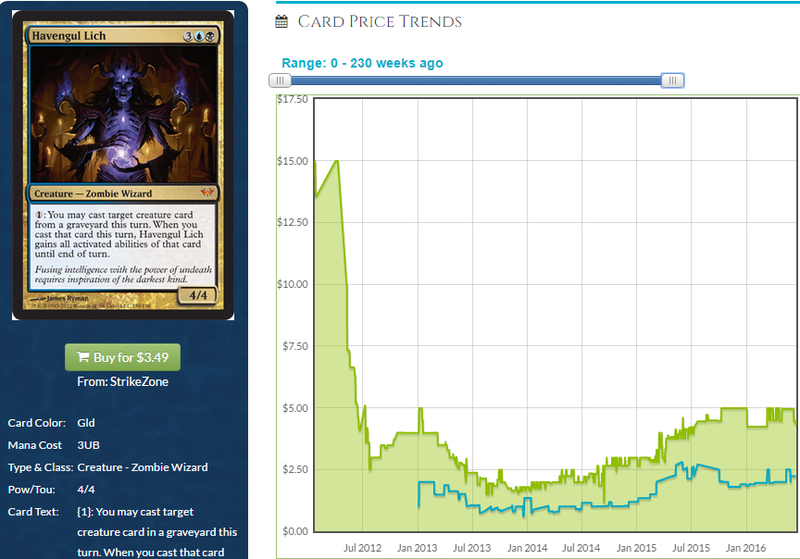 The 2014 version has multiple cards over $10, but the biggest is a reprint: Wurmcoil Engine. 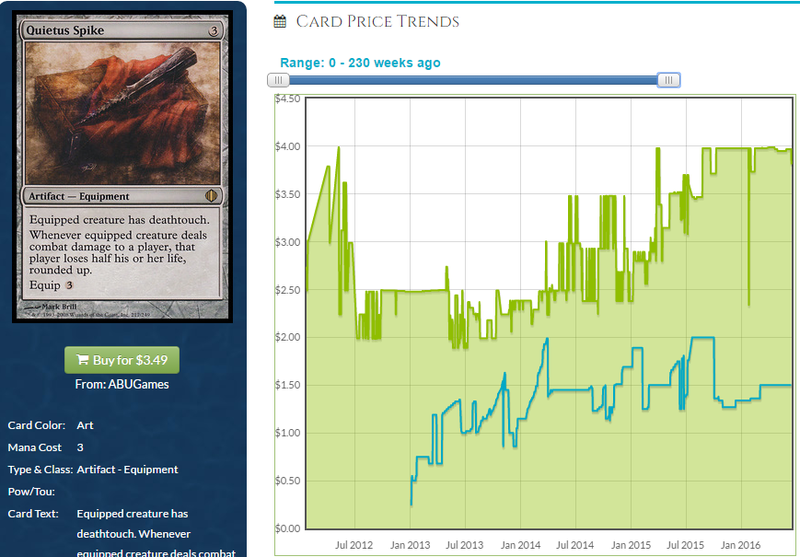 Even True-Name Nemesis, the headliner of Commander 2013, is only $14. There are two things I want to be aware of: The prices that will fall, and the prices that will eventually rise. 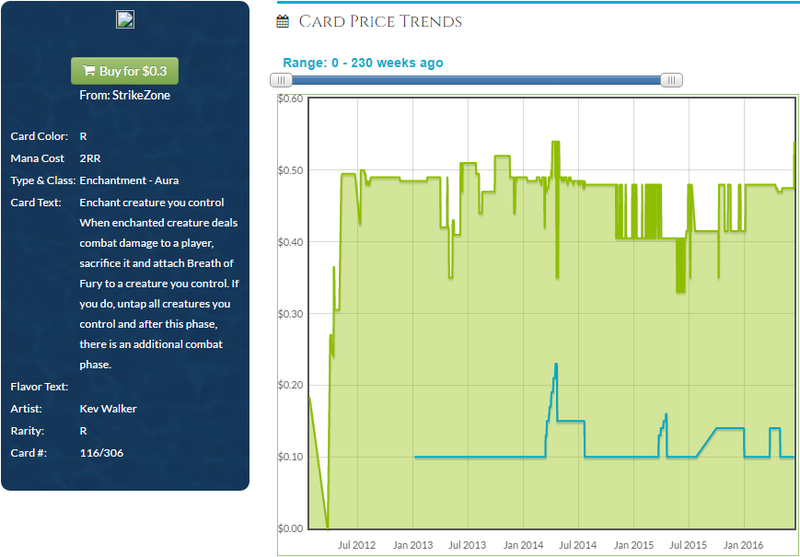 Most of the cards in this set are going to fall in price, and fall hard. Others are going to trail off, after an initial burst. So what’s going to be the Blade of Selves? I liked picking up the Blade when it was a little over $10, but we have gotten to a point that after a year, people who wanted them immediately got them, and then those who sort of wanted it got theirs, and now we are at the lowest demand. So the most expensive cards in this set are going to drop in price unless something gooses the price, which is usually Legacy demand. Containment Priest hit $50 for one weekend. True-Name Nemesis caused Wizards to adjust how many of which deck they printed. Patience can pay off, though, if you’re willing to think in longer terms. Here’s Freyalise, Llanowar’s Fury. She hasn’t gone up enormously yet, but she’s crept upward, a trend that I want to be aware of. The individual legends are going to be pretty solidly average in price. You’re going to see a lot of them that are between $3 and $7, and I don’t think that any of the ones spoiled are going to light up the Commander world. Perhaps I just can’t pick out the Meren of Clan Nel Toth, or the Nekusar, the Mindrazer out of this batch? With this in mind, let’s look at some spoilers! Deepglow Skate – So far, this is the card that I think is going to gain the most value right away, partially because it’s a single color (and not green for this effect!) and partially because it’s downright amazing. I am in love with this card and it’s going to go into a range of decks. 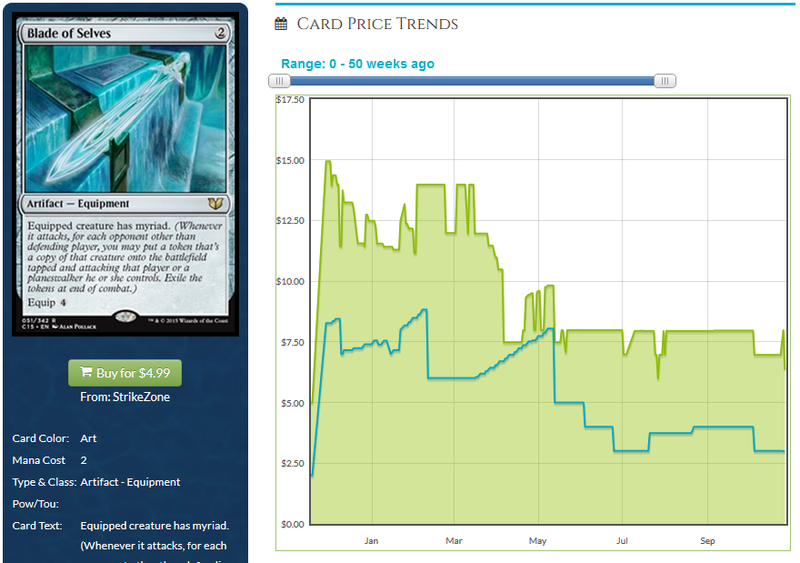 If this is only in the non-red deck, then it’s going to immediately jump and decline over time. This will definitely be a long-term pickup for me. Prismatic Geoscope – Look, we know Gilded Lotus is a good card. It’s worth considering as a first pick in a Cube, and this card is potentially better. It’s a big drawback that it enters tapped, but the potential to tap for four or five mana for only costing five, that’s a big, big jump for the mana-hungry five color decks. There’s a good chance that this is in more than one of the 2016 decks, and if it is, it’ll have a hard time keeping its price. Vial Smasher the Fierce – While I don’t know how good this is going to be in Commander four-player games, I’m awfully intrigued by how good it might be in Legacy decks. Adding damage to the first spell a turn is tempting indeed, though I might be dreaming. Likely stays under $3. Conqueror’s Flail – I love what this offers me, a way for a creature-heavy deck to resist really annoying cards like Cyclonic Rift or Batwing Brume. I suspect this will be a popular card but not world-shattering, and have a relatively low price. It’s solid, being +2/+2 or more for a mere two to play and two to equip, but the way it prevents interaction is the real selling point. Solid in the long-term. Faerie Artisans – Oh this card. I want to be all over this card and sing its praises to the heavens, but the truth of the matter is that when it’s in play, your opponents will almost never play their awesome creatures with amazing enters-the-battlefield effects. It’s a rattlesnake of a card, warning them off and probably not doing much. If you are into slowing the game down this might be more your style, but this will never be expensive. Ludevic, Necro-Alchemist – I like this as a sort of fixed Sygg, River Cutthroat, but this is another one that is really intriguing when there’s less players. It can’t draw you cards at the same rate Sygg can, but the way it pays people off for attacking each other is like a lightweight Edric, Spymaster of Trest. Still, he will probably stay super cheap. I make a lot of predictions in my articles as a matter of course and sometimes I really nail it. I don’t like to toot my own horn because I feel like that’s a sign of insecurity. When you point out all the calls you got right, you’re hoping you can distract everyone from the calls you got wrong. I’m not like that, you guys – you all read this column and you notice all the times I nail it. Still, sometimes it’s worth reminding everyone of the really good calls you make so that they understand why you’re someone they should listen to. If you can demonstrate your usefulness and almost uncanny ability to predict the future, you can build an audience. It is in that spirit that I write this piece today. 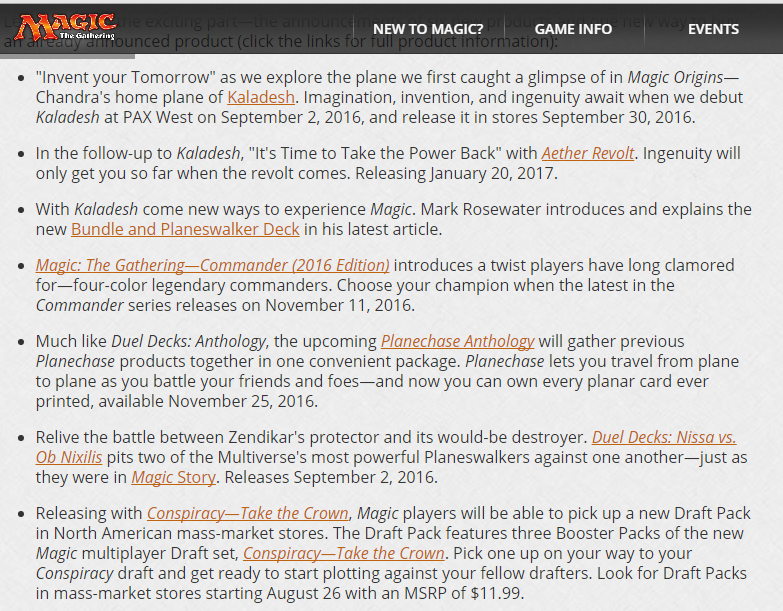 Until this week, there wasn’t much known about Commander 2016. We knew what had been in previous sets so we could pretty safely rule out them repeating color combinations before they had exhausted all of the existing combinations. The only two left were four-color decks and the remaining five, two-color (allied) decks. 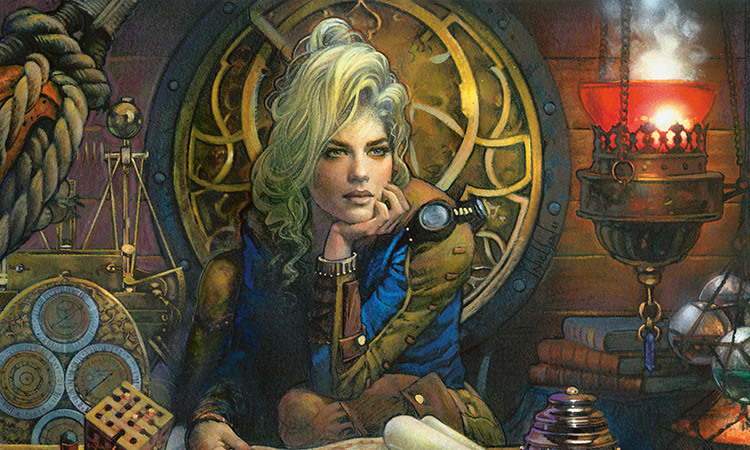 Monday came and buried in an avalanche of announcements was a blurb about Commander 2016. Did you miss it? Apparently WotC decided that using their website that people check regularly to make announcements at a steady pace is for losers so they are going to make their announcements quarterly to throw the finance markets into turmoil and have us get all of our excitement out of the way 4 times a year so we can spend the next three months noticing some random twelve-year-old kid opening Hearthstone packs on Twitch is getting 10 times as many viewers as the Magic Pro Tour. Apparently we get things we long clamor for. 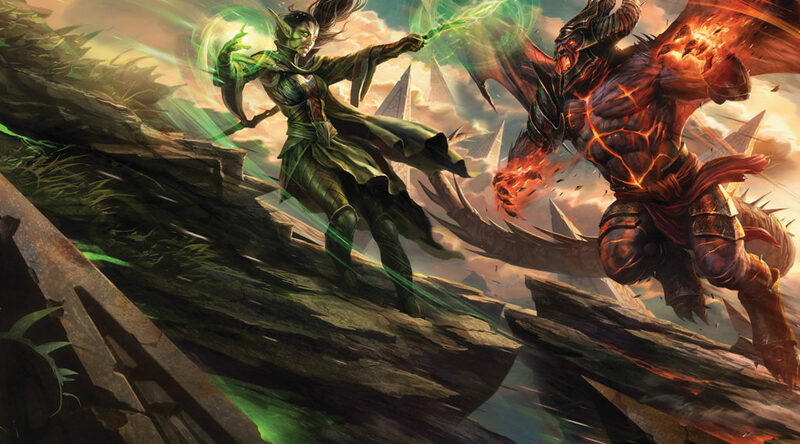 Commander 2016 is going to feature four-color decks. Do you know what this means? I totally nailed Commander 2017. While everyone was trying to figure out what was going to be in Commander 2016, I already got started with a series of articles delving into the implications of the allied, two-color decks in Commander 2017. I realize it was incredibly prescient of me to start talking about something that’s 15 months in the future, but how are we supposed to make any money if we don’t look ahead? When you fail to plan, you plan to fail, and I am planning years into the future and sharing those insights with my readers. You heard it here first – Commander 2017 will be allied-color deck combinations. 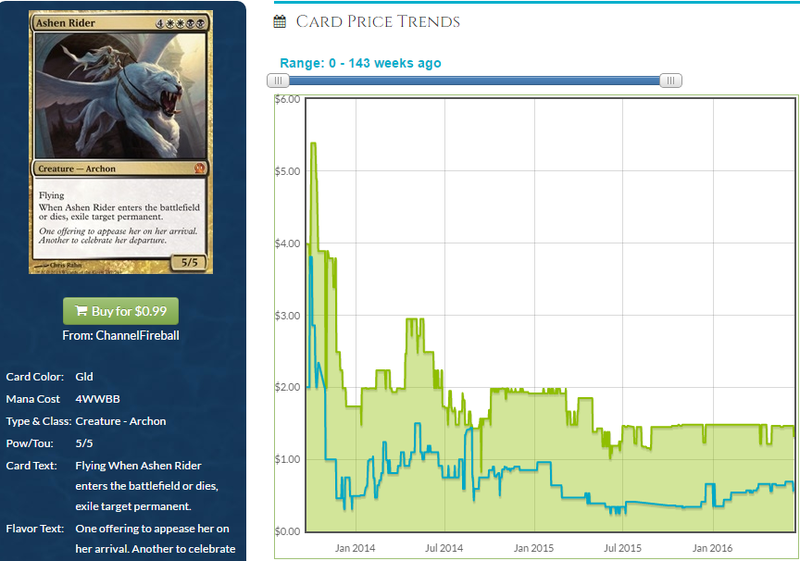 You can even read about what is likely to be in the Azorius deck right here on MTG Price. I’ll try to avoid re-posting those same articles in a year. My brilliant deductions aside, let’s speculate a bit. I’ll open the floor to pretend questions. That’s not a question. Next question. I mean, I guess. Was it a 50/50 call that I got wrong? Yep. Did anyone lose money? No. Did I say anything that we can’t act on next year? Probably not. Is it still super early? Yes. What I wanted to do was help us think about how to get ready for Commander 2016 and while I didn’t get confirmation that the assumptions I’ve been operating under were correct, I came to a conclusion based on logic, and no one made a compelling case that I missed something major or was thinking illogically. No one challenged my assumption because it was both logical and kind of unimportant. 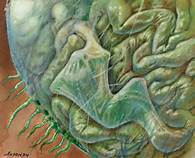 Now we know more information and we can operate under a new assumption. Every time we get more information, we can get more specific in our actions. While I called the coin flip the most wrong you can call it, I’m just too excited to be getting four-colored decks to even give a crap about that. I don’t think so, but there is some evidence that would suggest otherwise. Travis Allen expressed his opinion as succinctly as is possible. I am not so sure people knew, or at least that they knew we were getting four-color decks. It’s always possible that the people who bought hard into the Nephilim were simply speculating. However the price rises are all pretty significant and we need to ask ourselves what they knew and what could happen, here. There are a few scenarios. We can discount a few. If you know the Nephilim are in the decks, you’re not going to buy knowing they’re getting a reprint. Is this a case of insider info or just a spec that looks prescient in hindsight? Whoever they are, they’re going to be hard-pressed to find buyers right now. No one is going to buy these copies before they know for sure they’re not in the decks if they’re an EDH player, so they’re hoping to find a greater fool to dump the copies to. This looks like a really bad spec under those circumstances. Do other speculators even have any money left after they spent all of their capital making Steamflogger Boss spike to $15? 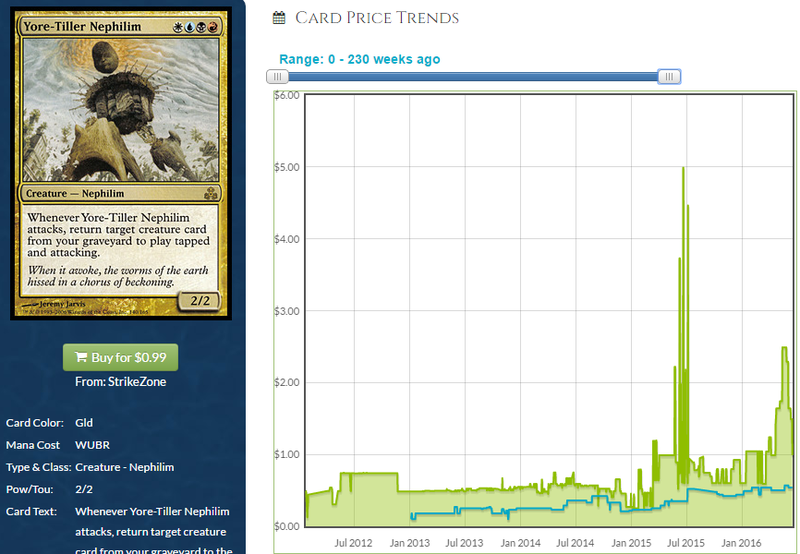 What I will say is that we can figure out how high the Nephilim can possibly go if they’re not reprinted. 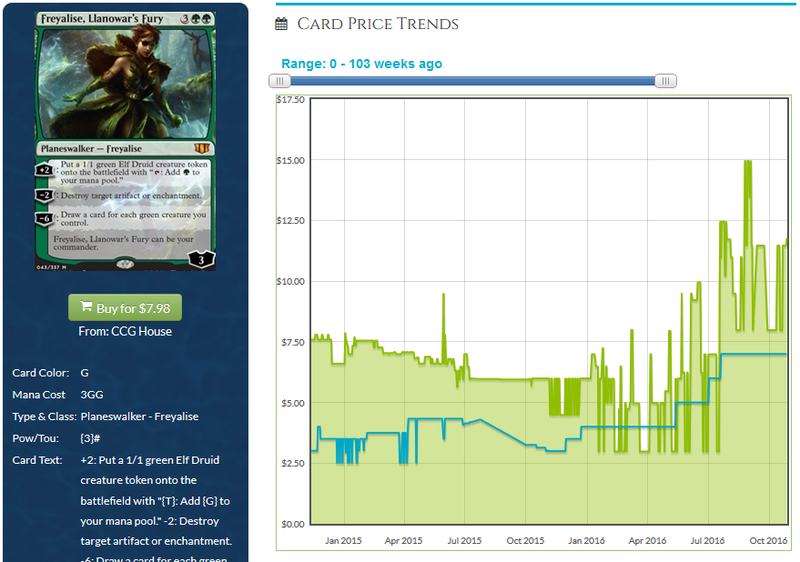 This is every card in Guildpact that is worth more than $4. There are still a lot of the lesser Nephilim available but Yore-Tiller, arguably the best one (arguably) is sold out under $3. How high do we see these going? 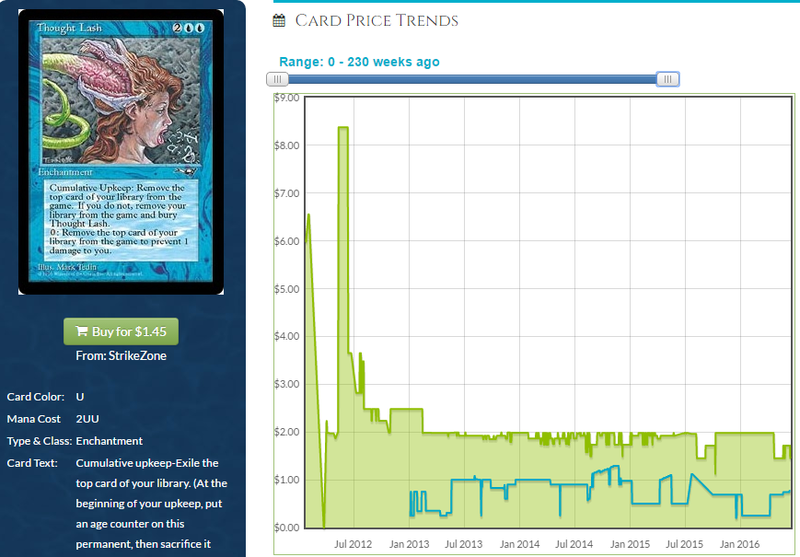 Are you going to be happy you bought in around $3 if they don’t exceed Ghostway, Ghostway being a card that spiked because of Modern and not EDH like everyone thinks. 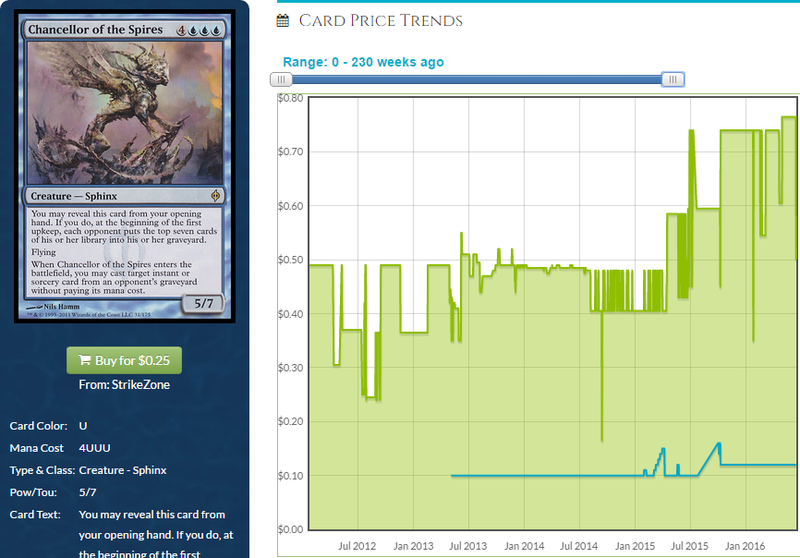 I’d say $8 is a safe ceiling if they’re not reprinted. 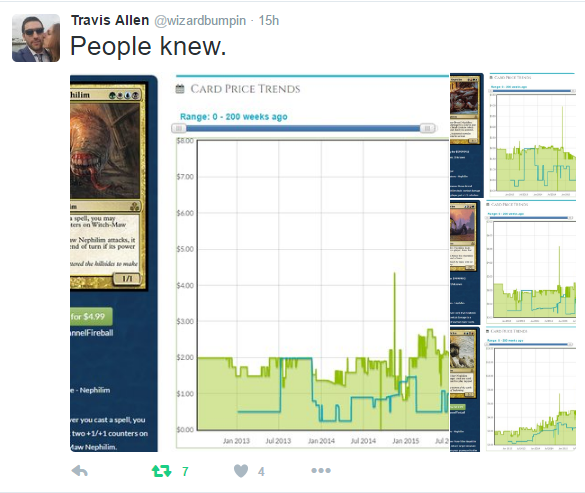 If they are reprinted, the money is going to be in the foil copies, but EDH players don’t really foil stuff out like the myths about EDH players would like everyone to believe. Your Commander still won’t be foil, and the rest of a four-color deck is going to be ridiculous to foil out. 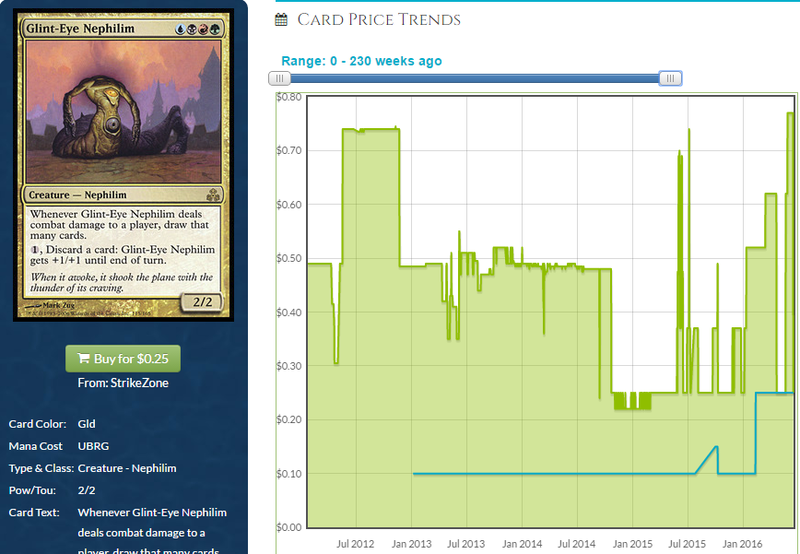 Sure, you snapped up that sweet $4 Witch Maw Nephilim with your inside info/ballsy gamble. Good luck on the foil Chromatic Lantern and Coalition Relic. 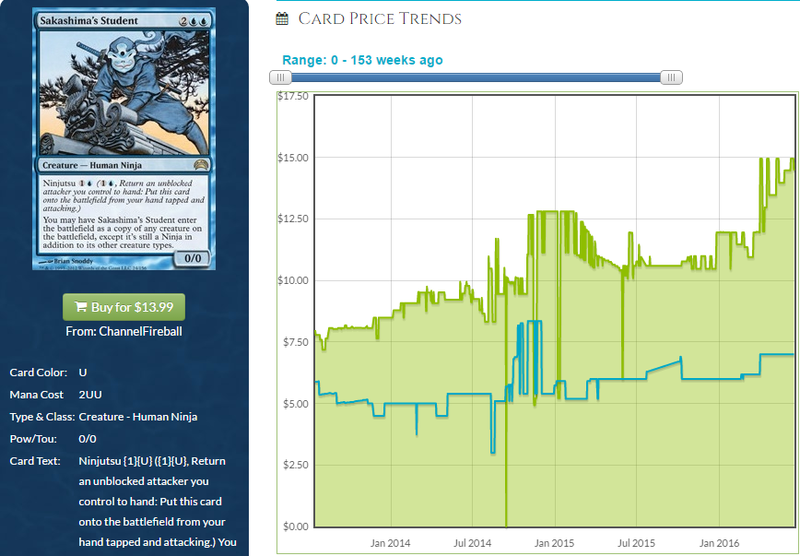 I think the odds of getting blown out on a reprint are much greater than your odds of doubling up. If you can’t get in at a low-risk buy like $1 (and you’re not doing that online, but locally is still an option) stay away. 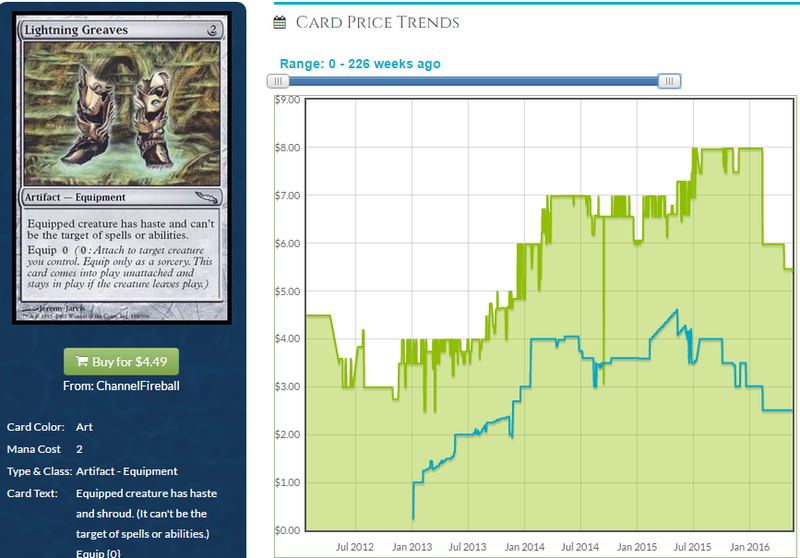 Original printings aren’t coveted over new printings in EDH the way they are in Legacy or Cube; the cheapest version is. The question on everyone’s mind is about Chromatic Lantern. It is ridiculous at turning mana issues into “I’m just going to tap the number of lands this spell requires” and that’s a great feeling. Lantern is a big unknown right now. 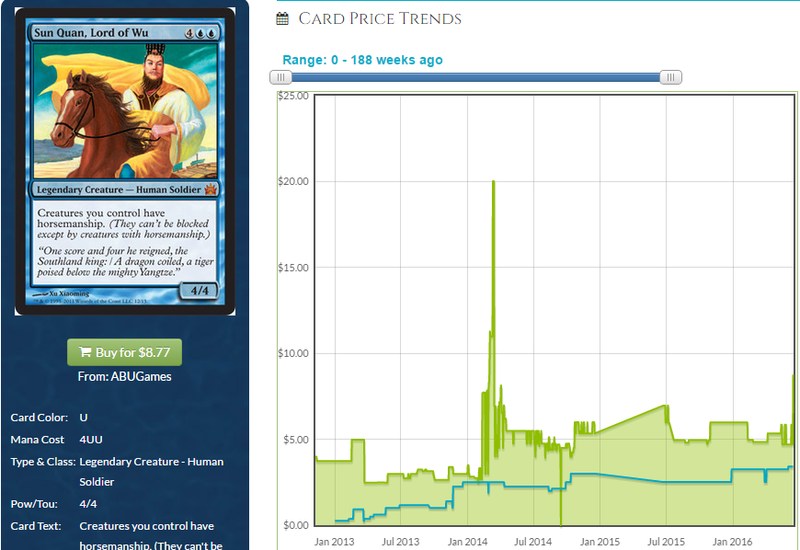 This spiked to $10 when they announced you could pay mana of a color not in your deck in the corner cases where you’re playing your opponents’ spells. It was already a card that would have been $10 eventually and a small amount of people saying “We should look at this” gave it the nudge it needed. People are buying these at the new price even if vendors haven’t caught up in raising their buylist price quite as quickly. If they do, this could be potentially very bad for the price. A second spike would be higher and harder because there aren’t loose copies in binders to soak up the demand like there are during an initial spike and dealers holding most of the copies means there is less of a race to the bottom. 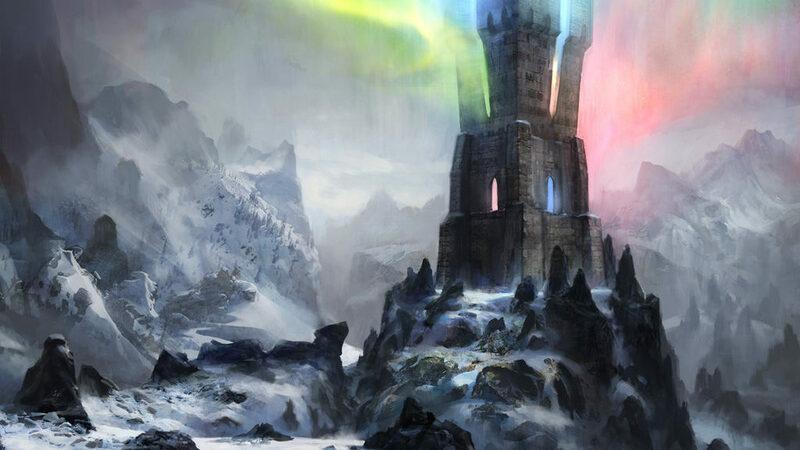 If Lantern is confirmed not in any of the decks, we could see it flirt with $20, which seems absurd for a recent non-mythic, but, have you read Chromatic Lantern? It’s so good. 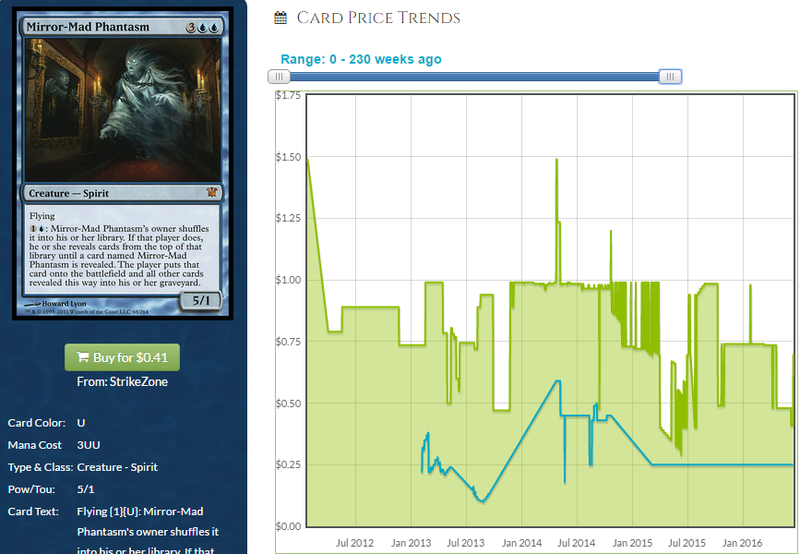 The bad news is that if Lantern is in one deck, it probably won’t be enough to do much to the price. This is after 6 printings, 5 of which were in supplemental product. I see three scenarios for Lantern. Before we conclude that there is a 66% chance you make money or break even buying in at $10, we should weigh the probabilities. I don’t think it will be in only one deck, personally. The other decks will have identical mana issues. Does one deck get lantern, one get Coalition Relic and the rest get something like Commander’s Sphere? I feel like Lantern is going to be in most of the decks or none of them. There is always the possibility that they print a new card that’s even better than Lantern and is specific to Commander, but even that wouldn’t make Lantern obsolete. I see a lot of scenarios where you lose money waiting and not too many where you lose much buying now. I hate to say it, but my analysis is maybe don’t wait on Lantern. That said, know that if you don’t buy now, you’re going to get something to help out with your mana issues. It may be a new card, it may be lantern or relic, there will likely be a land to help, too. Help is coming. That’s half of what I think is the eternal question. The other half is “are we really getting 15 brand new four-color legendary creatures?” In the past we have gotten two new commanders and one reprint of a legendary creature in those colors who could sub in for the other two to take the lead. Are we getting three commanders per deck? 2 commanders and a reprinted Nephilim that can’t be the commander unless you play with a cool playgroup? Will they errata the Nephilim? Because they said they never would. Fifteen new Legendary creatures would be just so many. 10 is a lot, but 15 is 50% more and that’s a lot of work for them. The good thing is that if we just have 5 more mediocre ones that usual, the people who want to build that deck can and it won’t affect much. Build your Arjun the Shifting Flame deck, kiddo. 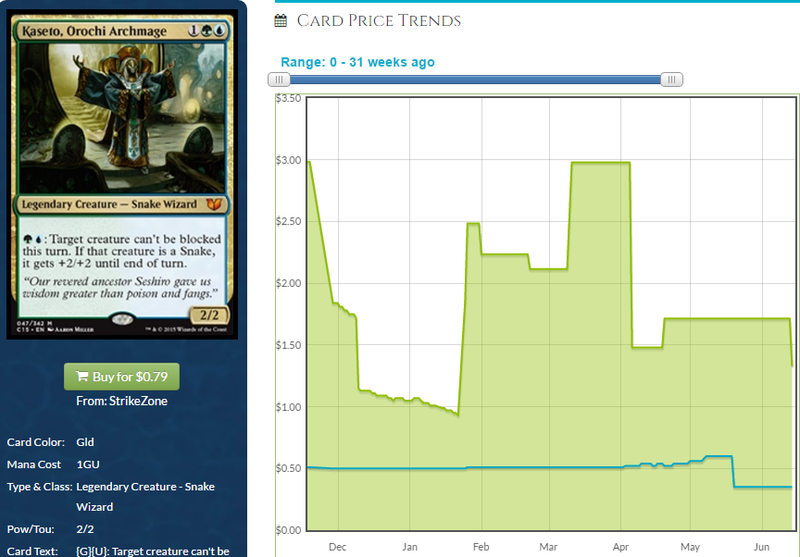 But if there are more good commanders than normal, that could have implications if more decks are built than normal. 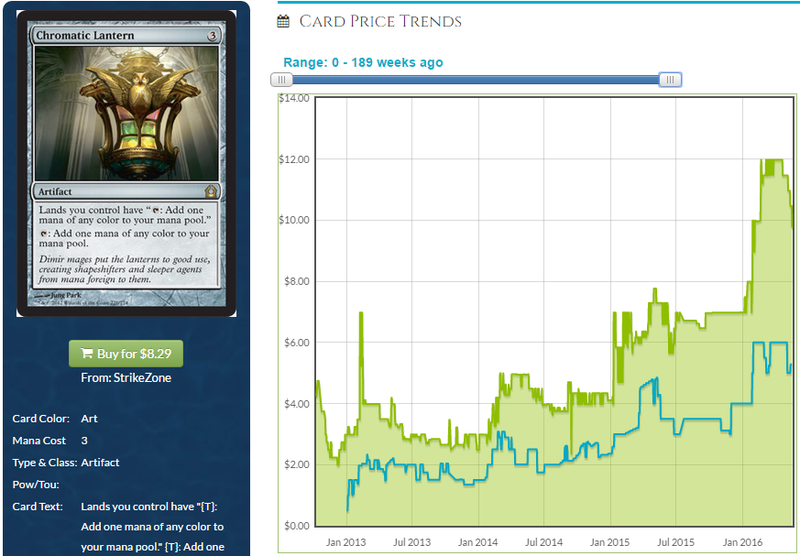 I honestly think that won’t be too much of an issue – the market can withstand a little pressure from more decks being built, otherwise The Gitrog Monster (which seems like it could have been designed for Commander 2015 but not fit in) would have spiked the price of Sol Ring or something equally silly. So when people ask if we’re getting a 4-color creature or a mono-colored creature with off-color activations making it four-color via the Thelon of Havenwood rule, I say I think we’re getting both. One of each, and I think maybe a second of one of the two or maybe only two new commanders. It’s hard to know, but we’re looking at broad strokes right now. Really quickly, pop on EDHREC.com and look at what goes in the mana base for a 5-color Commander because I bet people use something similar to solve their mana issues for 4-color decks. Check out Reaper King, for example. I see Vivids, which makes sense since they’re free. 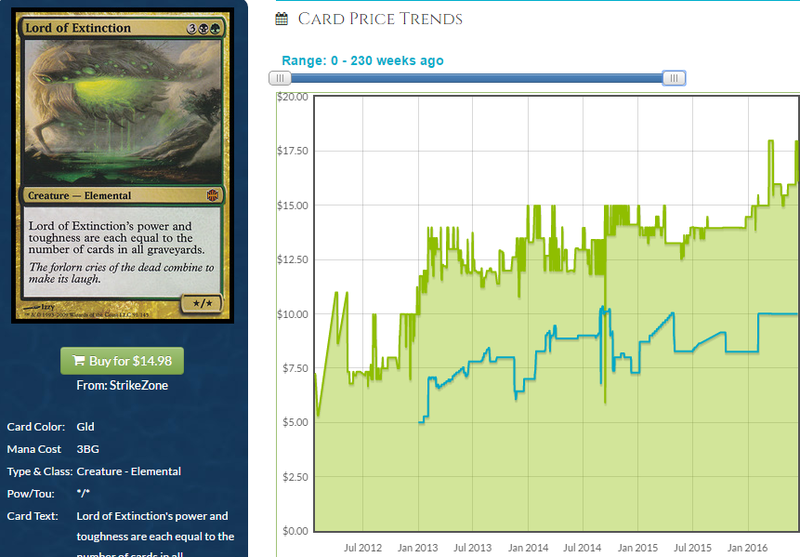 I see tri-lands, which have their own challenges vis-a-vis a three color deck. If you’re 5 colors, you can run every tri-land. If your deck is every color but red, you run every tri-land that doesn’t have red in it. Well, only 3 don’t have red and the same obviously goes for every other color. 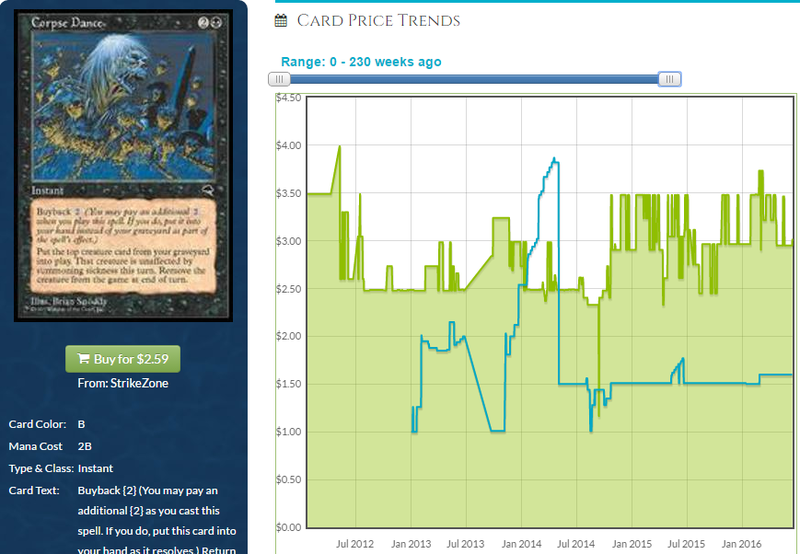 You’re limited to three tri-lands but this should still put some pressure on those prices. If you’re a three color deck, you can only run one tri-land, so in a way, a four-color deck is three times as effective at pulling tri-lands off of store shelves. Reflecting Pool, City of Brass, Mana Confluence all have upside, but they all also have reprint risk, especially as cheap as cards like Exotic Orchard are. Shocks and fetches have some upside, but other formats need those and the blip from EDH demand shouldn’t move the needle on those. Maybe get your Chromatic Lanterns, and maybe your Coalition Relics, too. If you can’t live without them, that is, and if you’re ruling out the possibility we’ll get something better. Mana bases need help. They’ll get help, but a lot of the lands we already have could help out. I think I am going to look more in-depth at what I expect to see in the decks and now that they’ve revealed this much, I expect to see a bit more revealed in the weeks to come. They need to hurry if they’re going to be at all gradual in how they give us information. Still, I’m happy we’re getting four-color decks, if only because it allows me to show off how good I am at predicting the (distant) future. Until next week!